Offering a traditional fit with room for layering, the comfortable Cole jacket is crafted with a heavyweight waxed cotton outer and a cosy quilted lining. 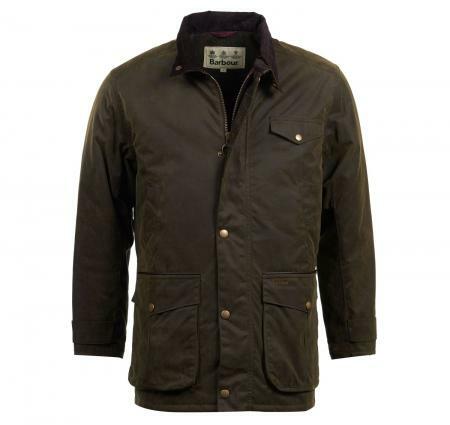 It is attentively detailed with a sit-down corduroy collar, a wool back buggy and elbow patches, and offers reliable practicality with five outer pockets and stud-close storm guard. Tonal Barbour embroidery and leather pocket trims enhance the premium appearance of this classic design. Make your choice of size from the pull down menu below.SALE!